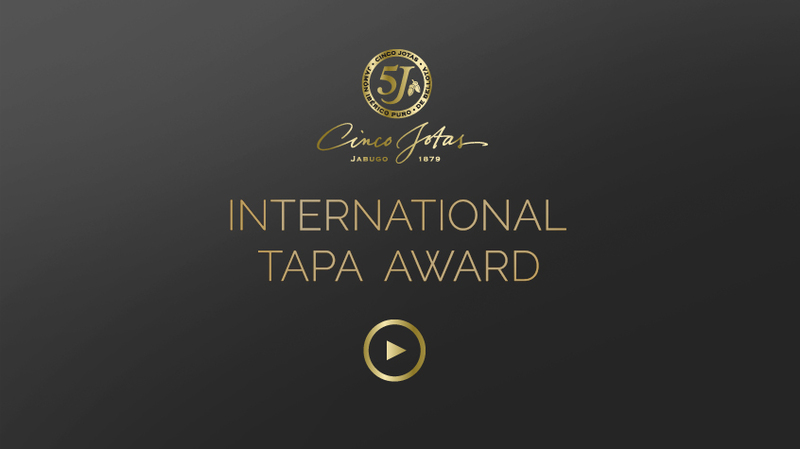 Legendary 100% Iberian Bellota Ham, Cinco Jotas, presents the first edition of "Cinco Jotas Tapa International Award", a contest which involved 12 of the best culinary schools around the world to create the best tapa - fine dining in small format - made with Cinco Jotas 100% Iberian Bellota Ham. Combining tradition and gourmet excellence, the brand aims for the best future chefs to develop their talent and creativity with one of our most recognized national products, the Cinco Jotas 100% Iberian Bellota Ham, considered a Spain's National Treasure. Pedro Subijana, owner of three Michelin stars thanks to his excellent work in the prestigious Akelaŕe restaurant, will be the ambassador of the competition and the jury president, responsible for ensuring superb quality. Start of the International Gastronomy Contest in which some of the best schools in the world will be participating in order to create the Best Tapa. Following an international itinerary, we will reveal the finalists who will represent their schools in the final. An exclusive panel of judges led by Pedro Subijana will be responsible for selecting the best Cinco Jotas Tapa 2014.